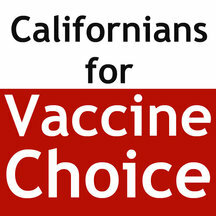 Should this bill become law, it will mandate ALL vaccines to ALL students in California, whether they are enrolled in public school, private school, parochial/religious School, charter school, or home school. 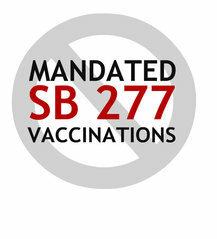 Currently in CA, there is a bill before the legislature, SB 277, which would eliminate a parent's right to exempt their children from one, some, or all vaccines, a risk-laden medical procedure. Only a medical exemption would remain, which is usually only issued after a catastrophic adverse vaccine reaction has occurred, and often times, not even then. The bill will have public hearings in each of these committees. The first hearing will be the Senate Health Committee on Wednesday, April 8, 2015. Email List - Copy Paste and Send! 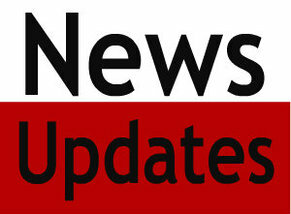 If you haven't already done so, call and make an appointment to visit your senator and assembly member. If you do not live close to Sacramento, try to meet with your legislator at their district office. If you can not get an appointment with your legislators, set up a time to talk to the staff person either at the capitol or at the district office.